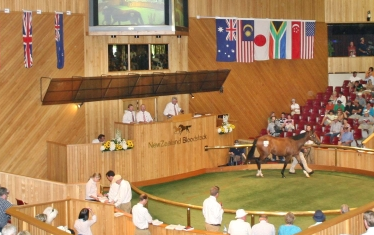 Auctions – perfect for $million racehorses, so why not for property? I have to say that question stumped me for a minute, not being a horse race fanatic and having only the vaguest recall who Sir Patrick Hogan was. Rather than answer the question directly, I chose to politely state that I would need to consider the question as there was a valid point being made and it was worth the time to reflect on the comparison between auctions for horses and property. So for the benefit of the questioner and the wider assembled group here is my response. Auctions are a highly effective process to sell items for which there is competition, items that are rare and unique. Auctions suit Fine Art, Furniture, Racehorses, Classic Cars and in some cases Property. They also suit the clearance-sale approach where there is a need to complete sales quickly and where the buying audience can be brought together in person or virtually to focus on the sale. Race Horse auctions are part of events held locally or nationally on an infrequent basis where buyers and sellers and their items for sale can be brought together so that you have the full universe of buyers to ensure the demand is strong and a good supply of items to sell to attract a wide audience of buyers. Imagine how inefficient it would be if instead of a quarterly Race Horse auction you had an individual auction at each stud every day – buyers would need to spend all their time driving around. So event based auctions suit horse sales in the same way as Sotheby’s and Christie’s auctions suit Fine Art. So then why is it that I contend that auctions are not the perfect solution for selling property? Well clearly you cannot aggregate all the properties in the market and sell them at events every couple of months – property marketing is time-bound, people want to sell today, or this week, they cannot wait until the end of next month for an auction. Despite this there have been some attempts by some of the real estate companies to create “Big Auctions” – I cannot for the life of me see the value in this. Auctions for houses need to be unique events where the potential buyers are placed in a position where they champion one another for the right to buy the house using price as the weapon. This leads me to another aspect of real estate auctions which I think is not appropriate. The weekly auction room sale, where each week a collection of a dozen or more homes are auctioned in a sterile meeting room. Buyers are told the auction will start at 2pm but who know when they will get to lot 7? Why is it in today’s world when real estate agents charge commissions of over $20,000 to sell an Auckland house can they not afford to hold an auction for a property at a set time and place (at the property) – why do such auctions have to be crammed into what is akin to a sale year – for whose benefit? clearly the real estate companies derived massive economies of scale - one auctioneer 20 properties in half a day's work! So accepting that property auctions should be unique events held at the property at the very least thereby ensuring the buyers are not intimidated by random strangers jostling all around them, who are simply sitting round for a later auction, what is still so wrong with auctioning property? A lot of my antagonism about auctions is driven by the recent trend of real estate agents blindly and with what I regard as blatant disregard to the needs of vendors, pushing every sale as an auction and in the frenetic desire to sell more houses more quickly, and in the process reducing marketing lead times to days rather than weeks, thereby driving panic amongst buyers who fail to undertake satisfactory due diligence. Property is a significant purchase decision and should be allowed to be reflected upon as a serious purchase decision. Please let us bring some sanity and pragmatism into the process as otherwise those who may get burnt in today's market may hold a grudge against the real estate industry when the market quietens down - which is what will happen in the coming years.